Courtesy of Gregory Kuhn, Iron Valley Real Estate of Central PA.
Modern living awaits in this stunning end-unit in the Towns at Meridian! This home is a must see! Generous, open floorplan with 9′ ceilings, plenty of large windows (with custom blinds), and family/game room that is perfect for entertaining. This floorplan is one of the largest in all of Towns at Meridian. Offering a light-filled great room, top floor laundry, large granite-top kitchen island, dining area and a generous walk-in kitchen pantry. Two car garage with storage space and Ring Video doorbell. Comes complete with Samsung HE washer and dryer, Samsung refrigerator, Whirlpool microwave, range, and dishwasher and Nest Thermostat. Plenty of outdoor amenities, including walking and bike path, fire pit, fenced dog area and guest parking lot. No outdoor maintenance!! All landscaping, grass cutting and snow removal is taken care of. 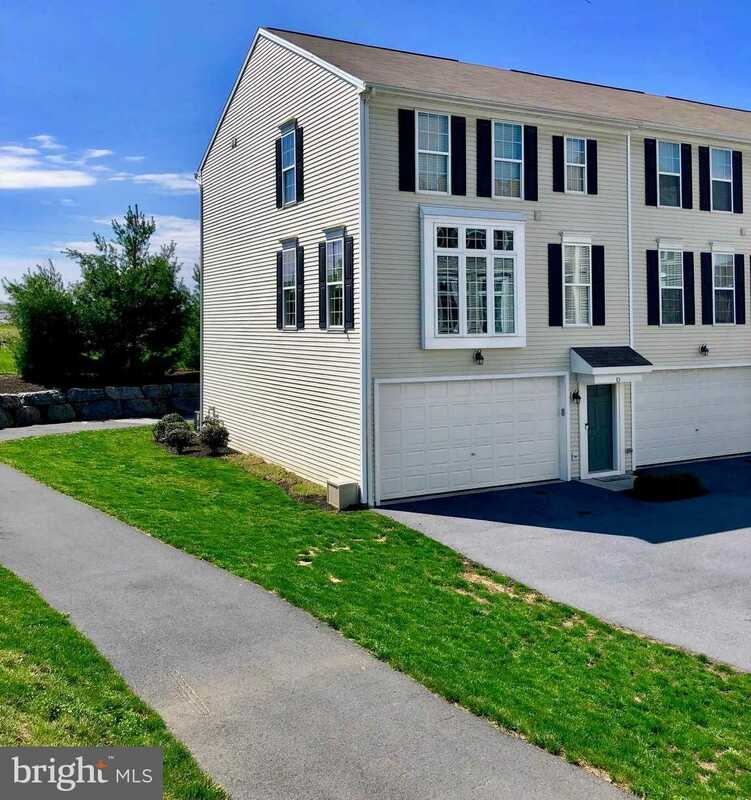 The Towns at Meridian is wonderfully located near all of the amenities, restaurants, parks and shopping that Mechanicsburg and Camp Hill have to offer. A few minutes walk from Arcona’s restaurants, shops, and brand-new brewery. Just moments away from Central PA major highways- Route 15, Rt 581, Rt 83, Rt 81, and the PA Turnpike. Please, send me more information on this property: MLS# PACB111202 – $215,500 – 3021 Meridian Commons Unit D, Mechanicsburg, PA 17055. I would like to schedule a private showing for this property: MLS# PACB111202 – $215,500 – 3021 Meridian Commons Unit D, Mechanicsburg, PA 17055.